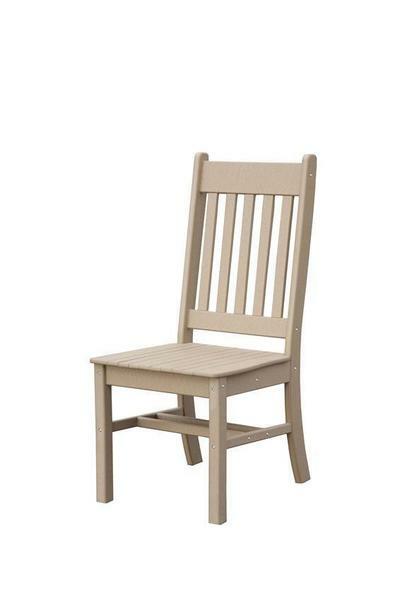 This durable Poly dining chair is sure to impress! Call DutchCrafters today at 866-272-6773 to place an order for a set of our poly chairs. An Amish furniture specialist will be happy to help you with ordering or questions on our outdoor furniture! We offer a wide variety of fun colors from real wood looks to bright tropical colors.